ONE of Australia's leading authorities on the impacts of bypasses thinks a lookout to showcase Coffs Harbour is a great idea. Dr Bruno Parolin has been studying the effects of bypasses around Australia since the early '80s. From the Hume Highway in the south of the state, to the Pacific Highway as it makes its way through to Brisbane he has been engaged by councils and chambers of commerce to assist with what can be a difficult transition for many towns as they are bypassed. "I did the work on the Hume Highway starting several years before construction looking into the level of dependence on highway generated traffic and making forecasts on the likely impacts." In more recent times he attended a 'town hall' style meeting in Grafton and has been engaged by Kempsey Council to conduct a number of studies prior to and after the town was bypassed. "In 2017, I was asked to come back to Kempsey and monitor what has happened to the town since it was bypassed, paying particular attention to things undertaken such as the upgrade of the main street to see if businesses are responding in a positive way." Dr Parolin believes the Roberts Hill Lookout proposal put forward by Neil Manson makes a lot of sense. Mr Manson is calling on the State Government and Roads and Maritime Services to consider building a lookout above the city on the preferred bypass route. 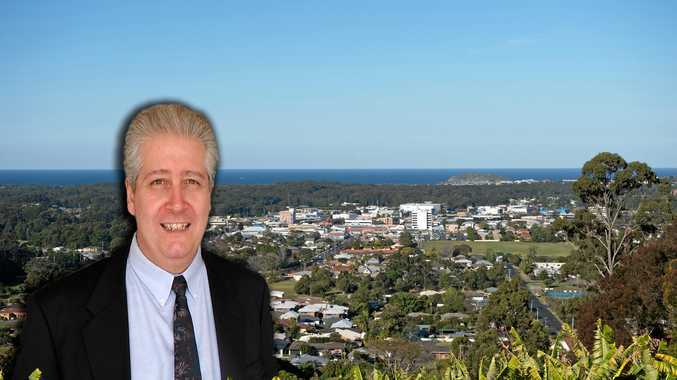 Rising over the city centre Roberts Hill offers one of the the best views of the Coffs Harbour coastline and Dr Parolin says it is a relatively straight forward way to showcase the region's tourism potential. "Out of the towns I studied that did well post-bypass - all figured in some kind of tourism plan and Coffs has time to do this, you can't wait until the day the ribbon is cut."